The Mazda CX-3 technology features include Mazda Connect, SKYACTIV® technology, Active Driving Display, and so much more, making it a great choice for Irmo drivers. 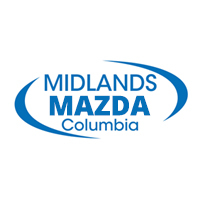 Visit Midlands Mazda to see it for yourself! When you’re ready to trade up your Lexington ride, be sure to check out the Mazda CX-3 inventory at Midlands Mazda. Contact us today to learn about our financing offers and lease offers or to compare the Mazda CX-3 vs. Mazda CX-5 models.